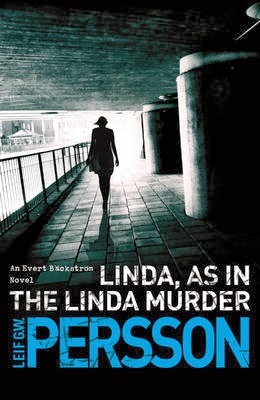 The winner of the 2014 Award, announced last night at CrimeFest, is Leif G W Persson for LINDA, AS IN THE LINDA MURDER translated by Neil Smith. 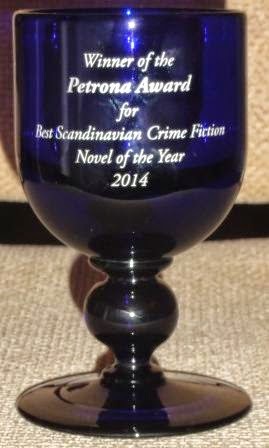 In addition to the trophy, the prize also includes a pass to and panel at CrimeFest in 2015, and a cheque for £200. My character Superintendent Evert Bäckström is actually not a nice person. He embodies pretty much every human prejudice - and then some - and he does so proudly and wholeheartedly. He feels that he is not only God’s gift to humanity but also the object of every woman’s secret fantasies. I myself, am a fully normal person - but there is a joy that he brings me when I tell the story of his life and times. Now he and I have received an award. A very fine English award, which makes me especially happy as a large part of my family lives in England. There is one person with whom I most profoundly want to share this honour and that is my excellent translator Neil Smith who has succeeded in making this Swede, with his spiritual and physical roots in the Stone Age, at least intelligible for an educated Anglo-Saxon public. Thank you! The winning title will be announced at the annual international crime fiction event CrimeFest, held in Bristol 15-18 May 2014. The winning author's prize will include a full pass to and a guaranteed panel at the 2015 CrimeFest event. 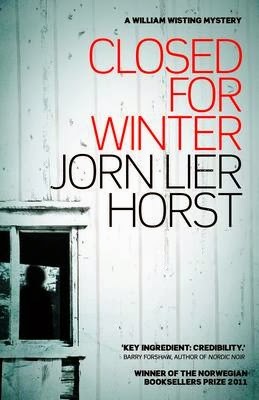 CLOSED FOR WINTER: This highly atmospheric novel sees Chief Inspector Wisting investigate an off-season burglary and a disturbing case of murder on the Norwegian coast of Vestfold. As ever, author Jørn Lier Horst’s police background lends the novel a striking authenticity, with readers treated to the outstanding plotting and characterisation that typify this quality series. disappearance of his brother, Inspector Erlendur takes on the most personal and difficult case of his career. Exploring the series’ enduring themes of loss and the impact of Iceland’s twentieth-century social transformation, this remarkable valedictory novel is one of the finest by a truly incisive writer, the undisputed king of Icelandic crime fiction. THE WEEPING GIRL: While supposedly on holiday, Detective Inspector Ewa Moreno is pulled into the case of a missing teenage girl and the much earlier murder of a woman. This quietly compelling novel from Swedish author Håkan Nesser, with its distinctive European feel, is full of the assurance readers have come to expect from the Van Veeteren series. There is not a single misstep as the grim implications of the narrative are teased out. 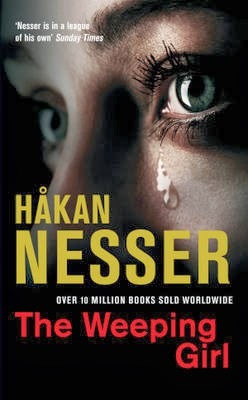 of-the-nation novels make deft use of crime fiction conventions to expose the faultlines of Swedish society. This more closely focused novel is a brilliant exploration of a young woman’s murder, press sensationalism, and the inner workings of a police investigation, with readers reintroduced to the blackly humorous and truly unforgettable police detective Evert Bäckström. 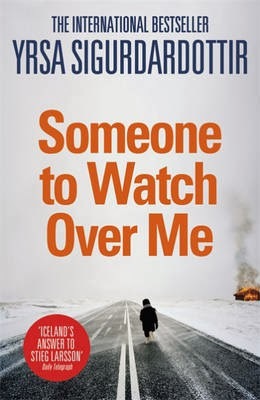 SOMEONE TO WATCH OVER ME: When a young man with Down’s Syndrome is convicted of arson and murder, lawyer Thóra Gudmundsdóttir is hired by one of his fellow inmates to investigate a possible miscarriage of justice. 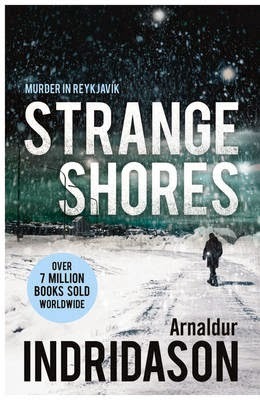 This ambitious Icelandic crime novel, which skilfully weaves multiple narrative strands together with elements of the supernatural, is another gripping and highly entertaining read from author Yrsa Sigurðardóttir. Kimmo Joentaa is called to investigate the strange murder of a comatose woman in hospital. 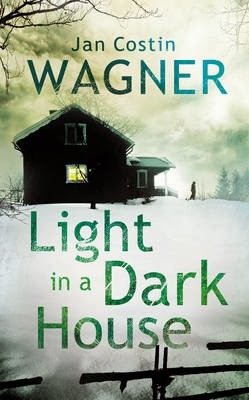 German author Jan Costin Wagner delivers another wonderfully written and tightly constructed instalment in the Joentaa series, notable for its moving portrayal of a grief-stricken policeman and its in-depth exploration of victim and perpetrator psychology.